I love how simple it was to put together. 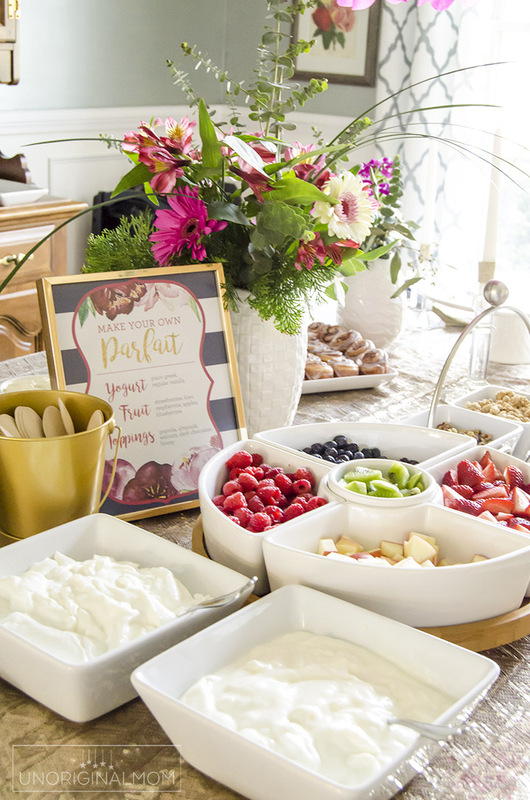 Whenever I host parties, especially larger events like a bridal shower or baby shower, I like to keep my food options simple! 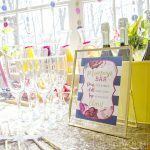 (If you’ve read The Baby Shower Book, you know all about my tips for keeping party food simple!) The more I can prep ahead of time and/or delegate to other people, the better. This was the perfect thing, as all it required was chopping up some fruit. Since it’s so customizable, everyone is sure to love it. 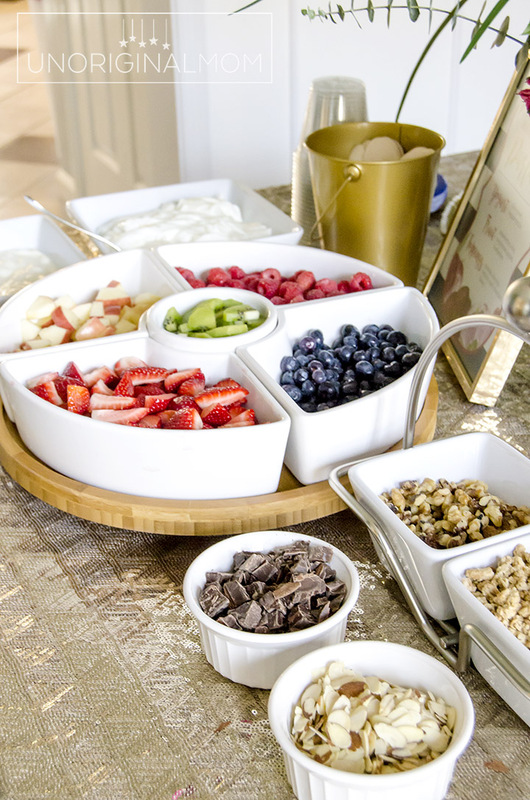 Plus, it’s a great healthy option for any guests that might be watching their diet, especially if you have plain Greek yogurt on hand. 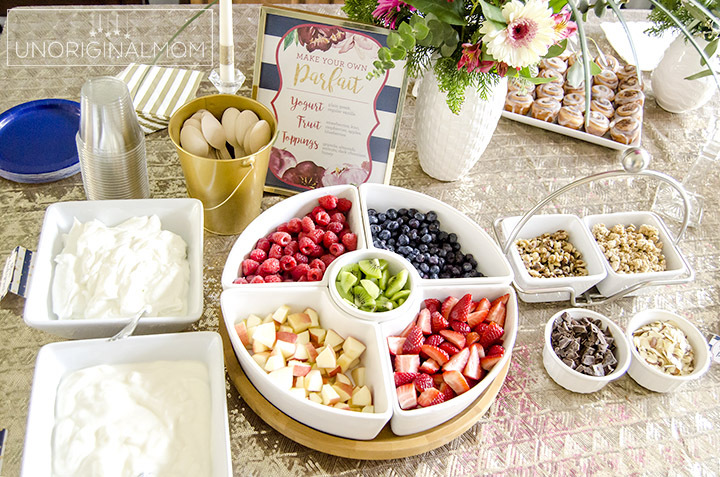 There’s really not much to it – yogurt, fruit, and toppings! Chopped fruit – I used strawberries, kiwi, raspberries, blueberries, and apples – you could also use peaches, pears, blackberries, or anything else that looks good/is on sale at the grocery store. 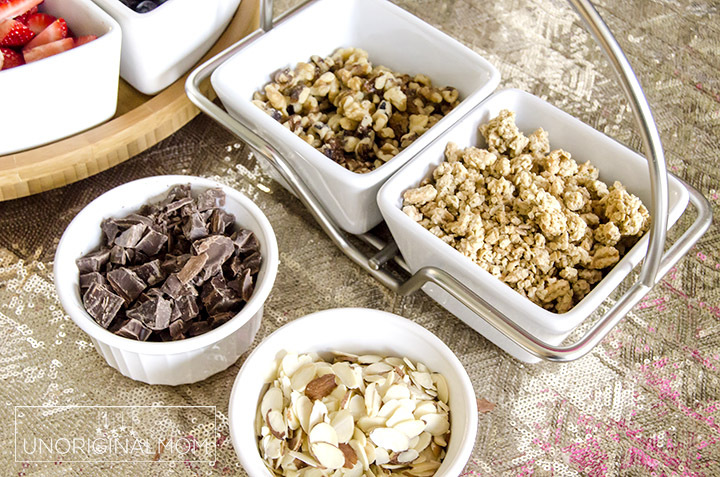 One quick tip – check the bulk bins in your grocery store for things like nuts, granola, chocolate, etc. I saved a good chunk of change on the almonds, walnuts, granola, and dark chocolate by buying a small amount from the bulk bins instead of buying them prepackaged in larger quantities than I needed. And that’s really all there is to it! So easy, right? 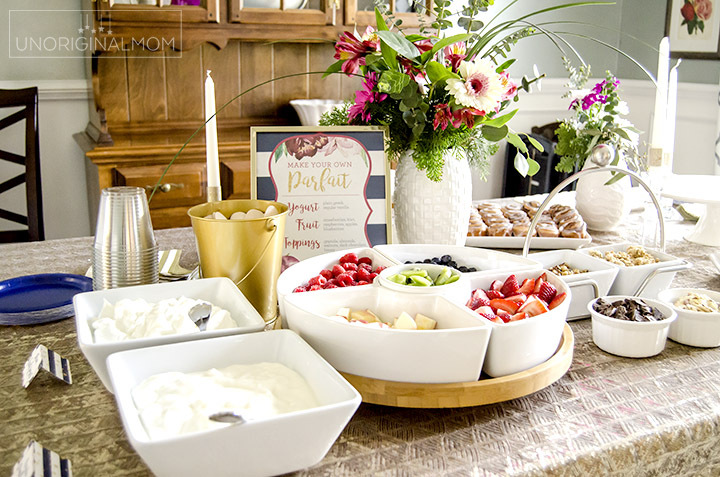 Perfect for any kind of brunch get-together, bridal shower, or baby shower! 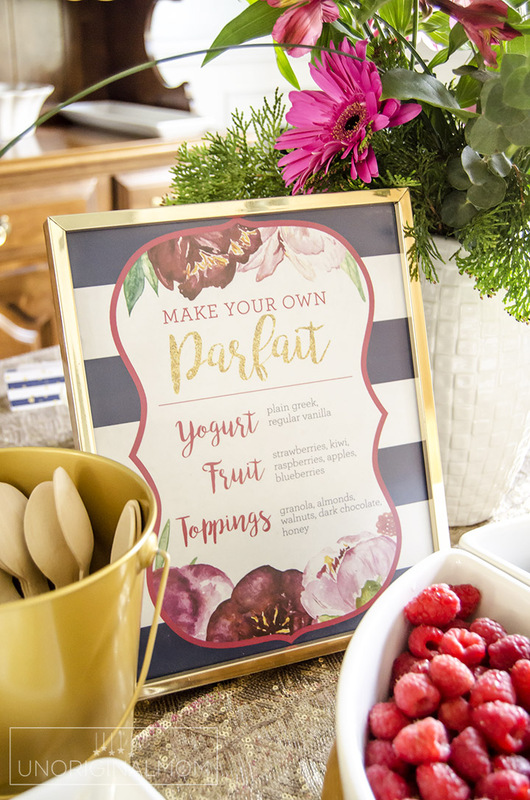 UPDATE – I’ve added my parfait bar printable signs to my Etsy shop, both with ingredients listed and without! 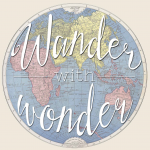 You can see the printables here! 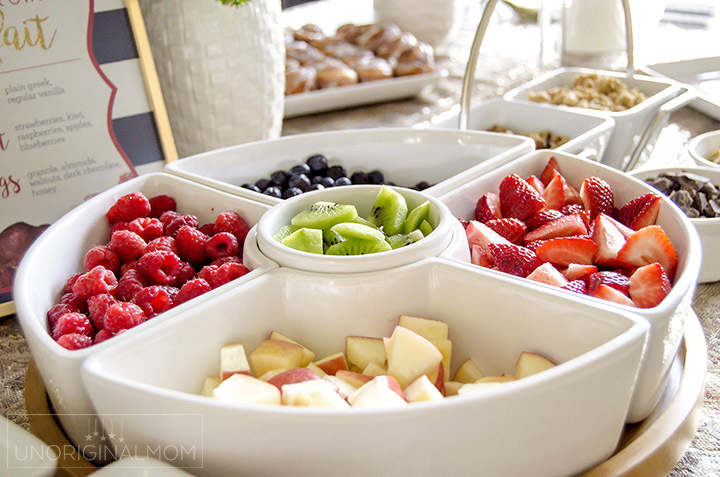 Where did you get the dish that holds all the fruit? Hi Marci, it was a wedding gift, but I think it was originally from Kohl’s. It is Food Network brand, if that helps! Love this so much! Do you have the printable sign by any chance? So cute! 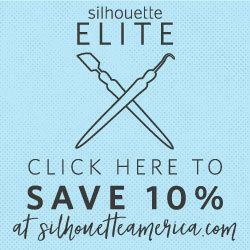 Do you have a printable for the sign? 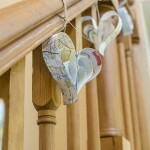 I would love to see if you have the printable for this! It looks like you have other food you were serving.. what else did you provide guests? 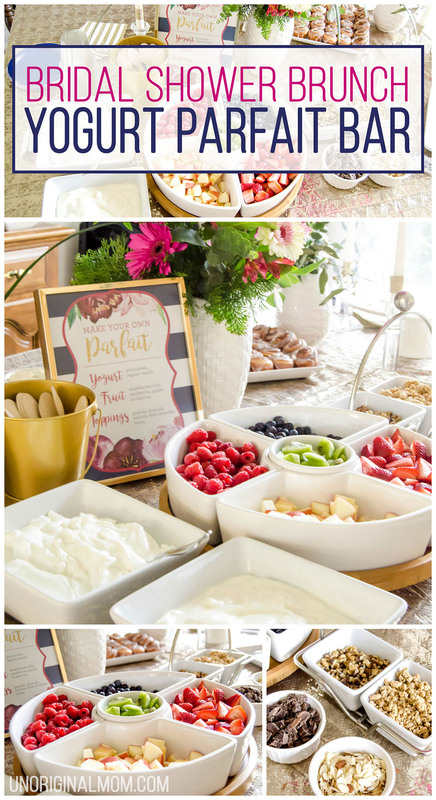 Planning a baby shower brunch and love this idea!